Mr. Sorensen's practice focus is on advising entrepreneurs and family owned businesses through the life cycle of the business, its owners and their families. His practice also includes extensive mergers and acquisitions for public and private companies, income tax planning and inter-generational tax planning, and economic development incentives. 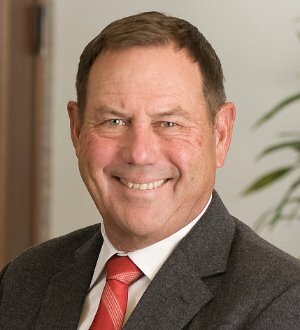 Mr. Sorensen served as Chairman of the Wichita Metro Chamber of Commerce and as an investor representative on the Wichita Economic Development Coalition. Mr. Sorensen has been has been selected by his peers for inclusion in the Missouri & Kansas Super Lawyers® list and The Best Lawyers in America® in the areas of Corporate Law, Mergers & Acquisitions, Tax Law, and Venture Capital. Mr. Sorensen also enjoys Martindale-Hubbell Law Directory’s highest "AV" rating for lawyers and is listed in Chambers USA as a leading business attorney in the United States. In 2011 and 2014, he was named the Wichita Mergers & Acquisitions Lawyer of the Year, and in 2013, he was named the Wichita Tax Law Lawyer of the Year by The Best Lawyers in America®. Mr. Sorensen is a Fellow of the American College of Tax Counsel.